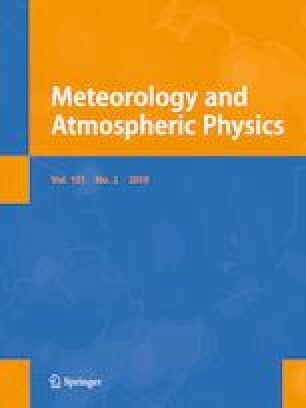 Singular value decomposition method is used to investigate the covariability between Ethiopian main rainy season [Kiremt, June to September (JJAS)] anomalies and the anomalous sea surface temperature (SST) in Indian Ocean based on precipitation and SST reanalysis datasets. Results show that significant coupled modes of variability exist, with the first dominant coupled mode explaining 49.3% and the second dominant coupled mode explains 12.6% of the total covariance. There is, however, higher correlation between the second dominant coupled modes than the first one. The spatial pattern of the first dominant mode shows a strong positive loading of SST in the central part of Indian Ocean, and below (above) normal rainfall in western (eastern) part of Ethiopia. The second dominant mode exhibits positive phase of Indian Ocean Dipole (IOD) event, with a strong positive (negative) SST anomaly in the western (southeastern) sector of Indian Ocean. This is associated with below (above) normal rainfall in northwestern (southeastern) region of Ethiopia. This is further affirmed by the correlation between the Dipole Mode Index of IOD and Ethiopian JJAS rainfall, which shows a negative (positive) correlation in the northwestern (southeastern) region. The analysis of the circulation anomalies associated with the pure positive (negative) IOD years are associated with anomalous easterly (westerly) winds over Ethiopia. Further analysis reveals that there is a widespread moisture divergence over Ethiopia and neighboring countries during negative phase of IOD as opposed to the positive phase of IOD which exhibits moisture convergence over the entire south and eastern Ethiopia, including parts of Uganda, Kenya, South Sudan, and western Somalia. The findings from this study give insight into the influence of Indian Ocean on Ethiopian JJAS rainfall. Responsible Editor: S. Trini Castelli. The authors thank NOAA for their reanalysis datasets used this study, ECMWF for providing the ERA-Interim reanalysis data. Special appreciation goes to Chinese Scholarship Council (CSC) for the financial support, and Nanjing University of Information Science and Technology (NUIST) for providing the required facilities for data analysis and for all other forms of support. The authors are indebted to the two anonymous reviewers for their helpful insights that helped to improve the quality of this work.